Although there was a soft opening last weekend with several ships using it, Royal Caribbean officially opened their new state-of-the-art Terminal A at Port Miami today. It will serve as home port to Royal Caribbean International ships, including two of the largest cruise ships in the world, Symphony of the Seas and Allure of the Seas. Details appeared in the November 2 issue of Cruise News Daily. The debut of Princess' newest ship, Enchanted Princess will highlight the line's 2020 European program. Enchanted Princess is the fifth Royal-class ship and will enter service in July in the Mediterranean, sailing from Barcelona, Athens and Rome on cruises from seven- to 22-nights in length. After having sailed from Port Canaveral earlier in the evening on a five-night cruise, Carnival Sunshine listed markedly for one minute due to a “technical issue,” according to the line. 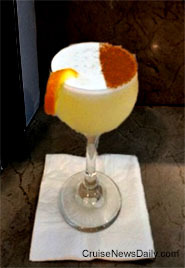 The incident caused lots of breakage as dishes and glassware slid off tables and shelves in the dining rooms and in bars. Bottles rolled around or broke in the shops. Passengers reported tables in the dining room sliding and less-experienced passengers panicking. Beyond looking like a mess, there didn't seem to be any damage. Cunard announced that Commodore Christopher Rynd has retired from an epic seafaring career. 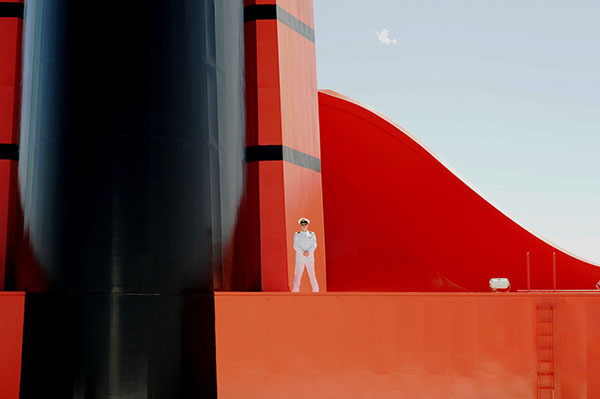 Commodore Rynd has struck a number of iconic poses used in Cunard publicity photos but none more so than the one from 2012 by James Morgan aboard Queen Mary 2. Details appeared in the November 1 issue of Cruise News Daily. Photo courtesy of Cunard Line. All rights reserved. May not be copied or used without express permission. 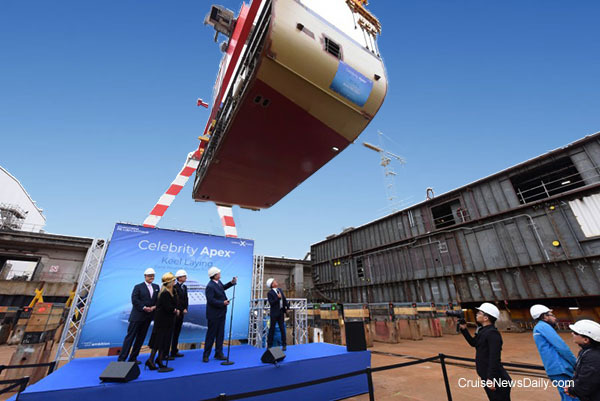 Chantiers de l'Atlantique delivered Celebrity Edge to Celebrity Cruises at their Saint-Nazaire (France) yard today following a 23-month construction process of the prototype vessel. The complete story appeared in the October 31 issue of Cruise News Daily. Photos courtesy of Celebrity Cruises. All rights reserved. May not be copied or used without express permission. Fincantieri said today Virgin Voyages had contracted for a fourth vessel for their fleet to be delivered at the end of 2023. This ship will be a 110,000-ton sister to the first three, carrying 2,800 passengers (double occupancy), which will be delivered beginning in 2020. If that wasn't enough news, this afternoon, Virgin said that during their first season, in 2020, Scarlet Lady will feature Havana on its Caribbean itinerary. If you had gone to Alaska a hundred years ago, you may have stayed in a room at Fannie Q's Saloon. If you go in 2019, chances are you may well stay at the Denali Princess Lodge - and dine at Fannie Q's Saloon. 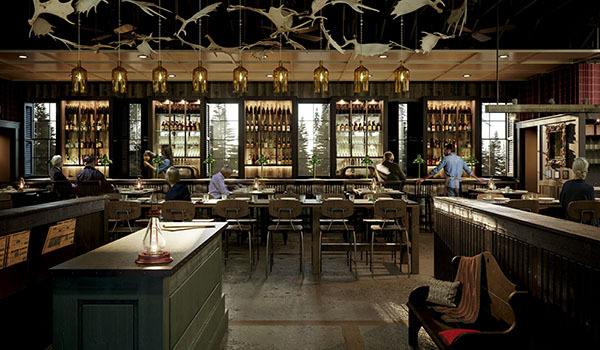 Princess Cruises is kicking off their 50th year in Alaska by opening Fannie Q's Saloon at the Denali Princess Lodge, named after Alaska's own Fannie Quigley, a true Alaskan rough and tumble icon known for her hospitality. Details appeared in the October 30 issue of Cruise News Daily. Rendering courtesy of Princess Cruises. All rights reserved. May not be copied or used without permission. Many of us have been aboard a cruise ship when they have stopped to pick up migrants whose boat is disabled at sea, because it happens so often. If we haven't seen it first-hand, we've certainly read about it somewhere, but it usually only gets a couple of sentences, usually saying that the Coast Guard returned several dozen to their home island. 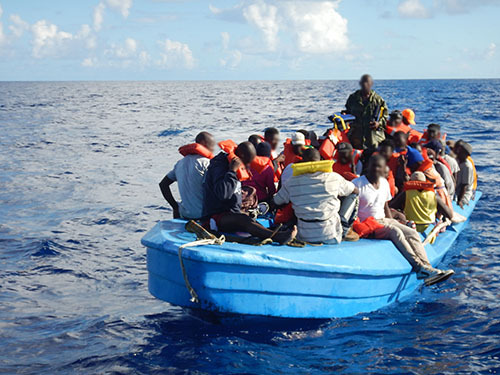 Few of us really get a good look at the dangerous conditions these people accept for the chance to get to a new life. They are literally risking their lives. 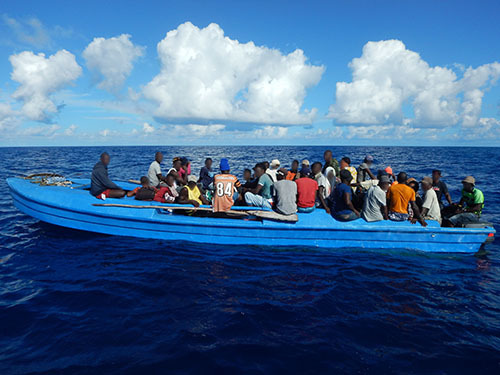 Today, the Coast Guard put out a routine press release saying the Cutter Thetis repatriated 84 Haitian migrants who were picked up Sunday on a 42-foot boat that was disabled 30 miles southwest of Turks and Caicos Island. 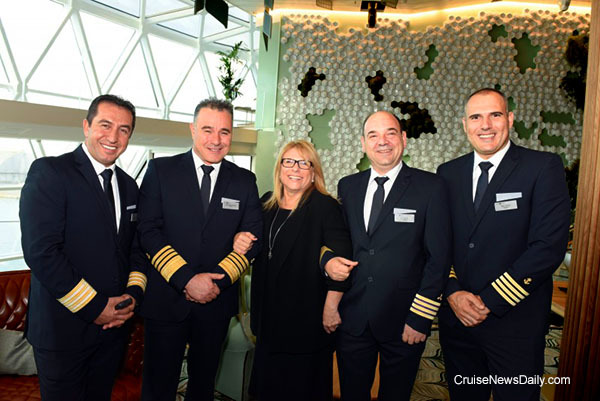 The complete story appeared in the October 30 edition of Cruise News Daily. Photos courtesy of the US Coast Guard. 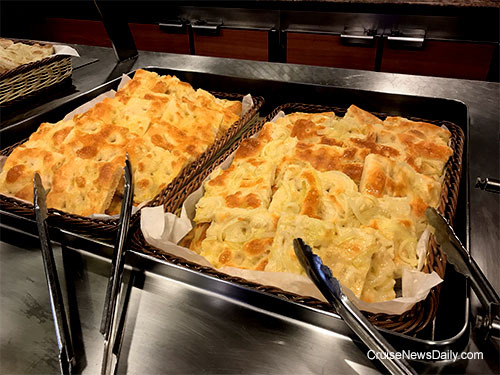 Beginning this week on some ships, very soon on the rest of the fleet, Costa passengers will be able to experience traditional Genoese focaccia - another of the authentic Italian products that will be available on all Costa ships around the world. The Associazione Panificatori Genovesi (Genoese Bakers Association) has taught the Costa bakers to bake the Genoa staple. The complete story appeared in the October 29 edition of Cruise News Daily. Photo courtesy of Costa Crociere and CND. All rights reserved. May not be copied or used without express permission. Details appeared in the October 29 issue of Cruise News Daily. Photo courtesy of P&O Australia and CND. All rights reserved. May not be copied or used without express permission.